Stedelijk painted their walls white in 1938, as the first museum in the world. In retrospect, they invented the concept White Cube, which is still the standard for museum galleries worldwide. These guts and urge for innovation are characteristics of Stedelijk and can be retraced in the new online platform. Because a strong identity is not only important from an artistic, but also from a business perspective. We created this new digital style and the technology behind it, which evokes both a violent reaction as an intuitive feeling, and therefore fits Stedelijk. 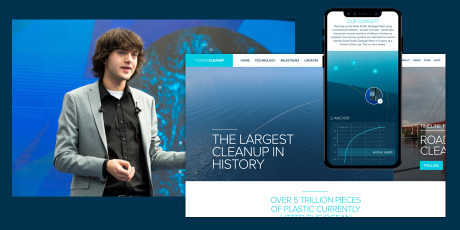 Creating an optimal design for mobile users played a key role in this process. The cooperation with Grrr was extremely pleasant. As a client, we are not easy: we have high demands on the inventiveness and the performance motivation of our partners. Grrr accepted the challenge and convinced us with their knowledge, great dedication and the needed sense of humor. I look back on the entire process with great pleasure, and I am proud of the result of the teamwork between Grrr and the Stedelijk Museum. In terms of design, the internet is becoming more and more uniform. Influenced by Google, Apple and Microsoft, creators design websites and apps according to the same visual style. This feels familiar to users but also leads to boring digital urban developments. 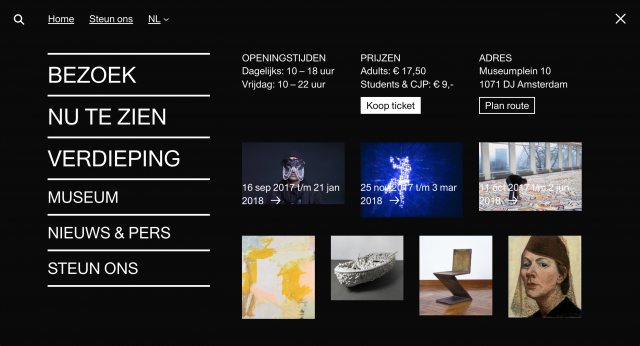 With the new Stedelijk website, we try something different and present the trend of web brutalism to the general public. Web brutalism is a reaction to standardization and exaggerated fringes, just like its architectural predecessor; brutalism of for example Le Corbusier. In the past, this style contained ornaments on buildings. Digitally, this leads to comfortable and easy websites with often an abundance of images. While those pictures do not always add something advantageous to the users. Grrr has had the courage to design a homepage that breaks with all design conventions. This is extra refreshing in this time wherein more and more sites seem to be based on the same wordpress template. Many websites are digitized folders that you browse through. While an increasing digital behavior (we use our mobile more often) offers opportunities to use a completely different approach. Why do we not choose a playful presentation where functions are right in front of you. 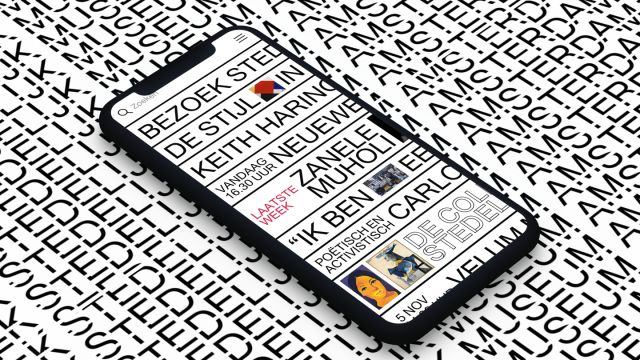 This is how your mobile operating system and chat application currently function, and the inspiration for the design of the new Stedelijk website. We show that both are possible: creating an artistic statement and an intuitive website at the same time. Like the White Cube brought art to its full advantage, the digital form serves the content in this design. Simultaneously, it is an iconic new representation. The Stedelijk Museum has an iconic, recognizable identity designed by Mevis & Van Deursen. 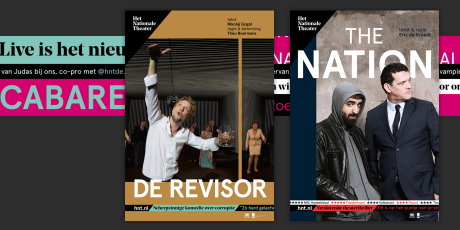 We translated the identity into a digital style, without copying the printed forms. Typography played a major role within the process, but also playful elements. The interactive website, where you can swipe letters reflects that playfulness. We no longer welcome every new digital development with a big applause. At the moment, we have reached a more critical stage. Airbnb, Facebook and Uber are for example no longer the desirable son-in-law they once were. The contrarian design of Stedelijk is an implicit statement against this development. With the increase of mobile phone users, we believe that a growing amount of people are using the search engine instead of the menu. Nice detail: the search engine also talks back, depending on where you are, you receive tips and reactions. Similar to the art of Stedelijk, the website should also be for everyone. Keeping in mind that it has to be inclusive and accessible, we built the website. That is why the website is not merely accessible for mouse users but we also thought of keyboard accessibility: you can fully navigate through the website with your keyboard. For example, the photo carousel and overlays can be navigated and operated in this way. The (front-end) code is semantic because of the correct use of HTML5 elements and the provision of content with the right heading structure. Aria labels and other descriptive texts have been added so the technique of Assistive Technology (such as screen readers for people with blindness or other visual impairments) can easily handle the content and provide visitors with the information they are looking for. In order to enable the visitor to skip large blocks of content, for example to go quickly to the language settings, the menu or the core of a page, so-called “skiplinks” are present. Cool detail: areas of the museum that are not accessible for wheelchairs can be seen in a 360 degree photo on the website. To make sure you do not miss out on anything as a wheelchair user. The new website goes beyond what you see: it is a super flexible content platform. Based on Laravel, links are made with collections, ticket sales and reservation systems. The search engine works with the strong elastic search algorithm. Above all: it is a super extensive editorial system allowing trustees, curators, researchers and marketers the tools to tell their story. New tricks that we applied are among others: Lambda (algorithms without servers) for the Adlib collection synchronization and a 100% automatic scaling server cluster based on Amazon AWS. Regarding the frontend, we applied responsive typography with vw units and with the CSS font display property, we loaded a fallback font for browsers with slow internet connections. Aria labels and keyboard services improve accessibility for disabled users. The application of `skiplinks` is used to able to the user to navigate quickly through the website, as a keyboard user you will get faster to the language switch than a mouse user. The Grrr team closely worked together with the Stedelijk Museum team: Karin Sommerer, Robin Holland, Saskia Dubois and Moniek Dollekens. In collaboration with Bas Koopmans, Koen Wijffelaars, Lotte Meijer and Maartje Rooker. In the research phase we cooperated with SILO. And thanks to the Stedelijk staff, Karin van Gilst and Beatrix Ruf.